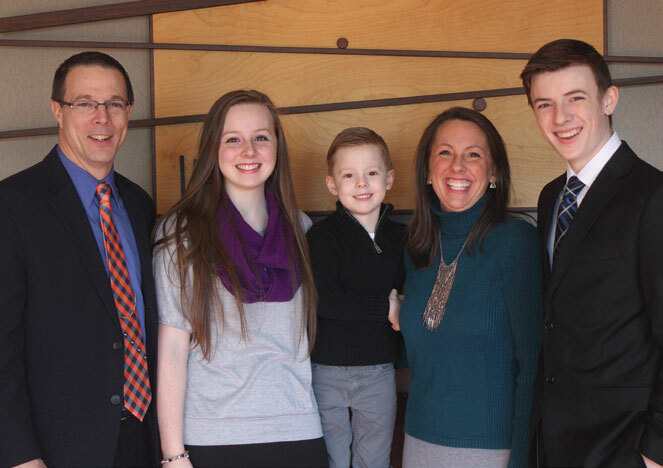 A little over four years ago Pastor Mike Barr, his wife Stacy and their three children–Kaylee, Andrew and Josiah–left their thriving youth ministry at Fairfax Baptist Temple to strike out into the unknown, seeking to plant a new independent fundamental Baptist Church as so many from FBT had done before them. In July of 2012 they held the first meeting of Crosspoint Baptist Church in Iowa City, Iowa. Three months later the church was organized with 13 charter members and has never looked back. Growth has been slow but steady in this university town where the Gospel is little appreciated by large sectors of the community, but diligent outreach efforts have yielded lasting results among people of diverse backgrounds and nationalities. Crosspoint now has 36 members and recently added its second deacon. Enthusiastic support for the unwavering Gospel focus was evident by strong participation in a mid-year Soul Winning Seminar tied to an “Operation Saturation” outreach. Twenty-two members learned how to be more effective witnesses and then went out and reached 3,000 homes with the Gospel!